As I´m always on the look out for something interesting, I´d love to surprise you with something really new you´ve never heard of. But – I have to be decent here, this would be a desperate and futile task to try. And generally spoken, is there really anything completely new out there? Isn´t it ultimately just all about developing well known things and putting them into a new or unexpected context? 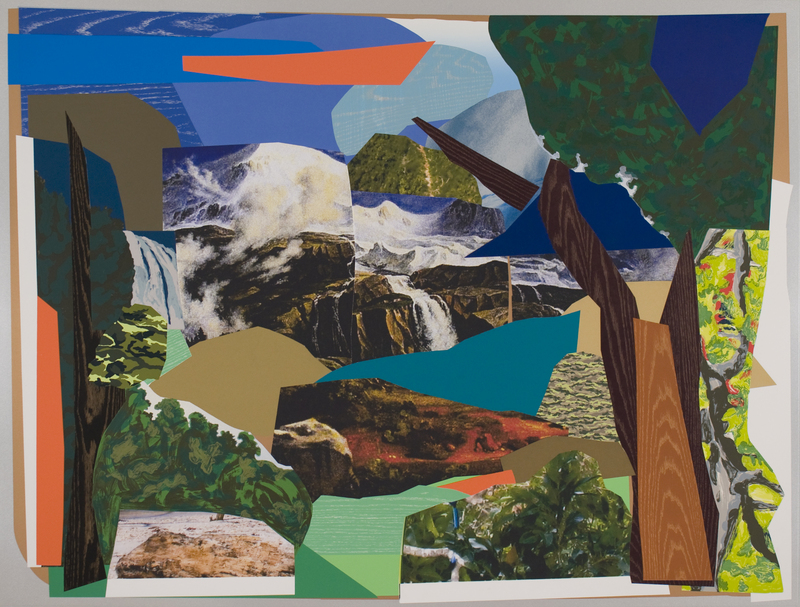 Mickalene Thomas – this is a name worth remembering! This girl´s work is modern, trendy, pop art and glamorous! And it´s huge! 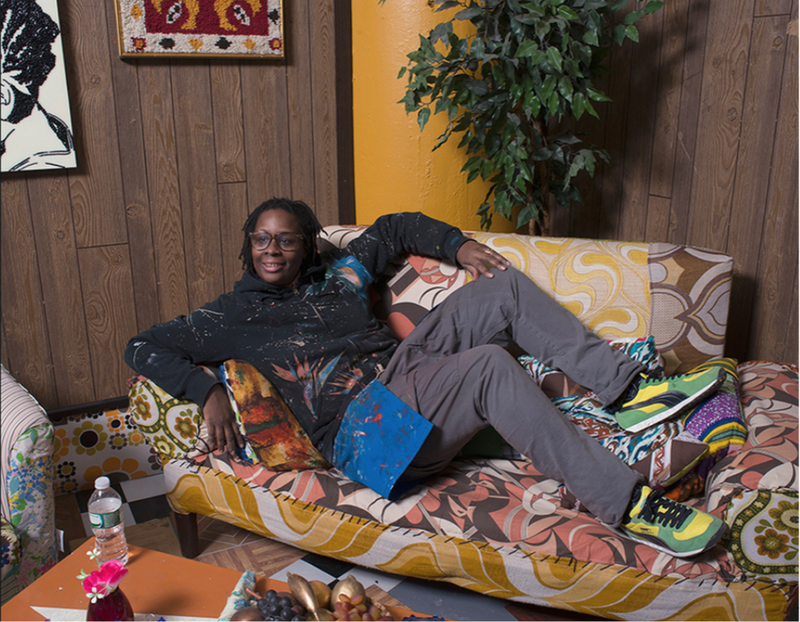 This is Mickalene sitting on her sofa in her New York studio. But have a closer look! This sofa is definitively costumized – and it is often the basis of Mickalenes works. Here she arranges the pictures of the women she´s going to portray – and you can already see how the collage effect comes into live. 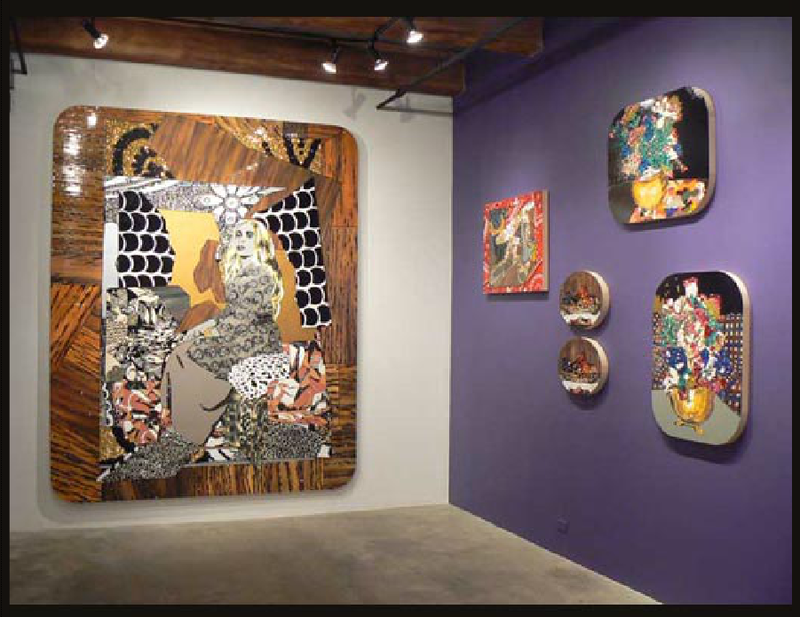 She uses mostly huge wooden panels for her collages – acrylic paint, enamel and rhinestones. Always central in her pictures is the black woman. They always gaze out from between contrasting arrays of color and pattern. 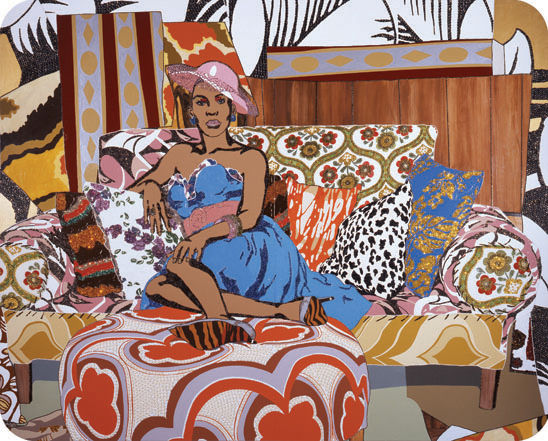 Mickalene often relates to her memories as a child in her grannys living room. She says about her view : I am constantly contemplating or challenging various stereotypes around Black women. All of the women in my work have a profound sense of inner confidence, and recognize themselves as the visible subject. Their directness is filled with agency and self-knowledge. And here´s a little sidestory I found so likeable about Mickalene. Throughout her studies of art she always considered herself as not good enough in painting portrays. But that´s how she finally developed her unique style of portraying – converting them into pop art faces.